Which is better: aftermarket vs. OEM parts? It’s the age-old question asked by both car and truck drivers. In any given situation, a better question to ask is, “Which part fits my vehicle and offers the highest value for my money? In most cases, the answer is OEM. If you’re searching for heavy-duty truck parts near Chicago, Badger Truck & Auto Group has you covered. Read on to learn more about aftermarket vs. OEM heavy-duty truck parts and where you can find them near Madison! What are the Pros and Cons of OEM Parts? What are the Pros and Cons of Aftermarket Parts? Quality: Aftermarket parts can look similar to OEM and genuine parts — uncannily so — but that doesn’t mean they’ll perform in the same way. OEM parts are built to perform a specific function for a make and model. The key difference is that OEM manufacturers understand the applications behind Class 8 truck parts and Class 9 truck parts, and aren’t building components so they fit as many different makes as possible; they’re testing, designing, and engineering for the best performance possible. Value: Value doesn’t boil down to cost alone — performance plays a large role. If you purchase cheap aftermarket truck parts but have to replace those same parts several times throughout the truck’s life, you’re not saving money. Trucks are large investments, so it doesn’t make sense to skimp where quality parts are concerned. Parts Sourcing: Aftermarket parts are readily available, especially online. This, however, doesn’t mean it’s a good idea for fleets to become their own parts sources. The truth is, when you buy heavy-duty truck parts online, you can’t be sure of what you’re getting. Instead, source parts from a provider you can trust and who knows your truck or fleet. 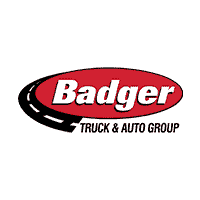 Shop Heavy-Duty Truck Parts at Badger Truck & Auto Group Near Madison! Whether you’re shopping for engine parts, fenders, fuel tanks, or air filters, Badger Truck & Auto Group can assist you! Contact our parts department with questions, or use our online form to order parts from the comfort of your home or office. Our technicians can professionally install the new part for you at our service center near Green Bay. Before you order, be sure to browse our latest parts specials for possible savings opportunities!